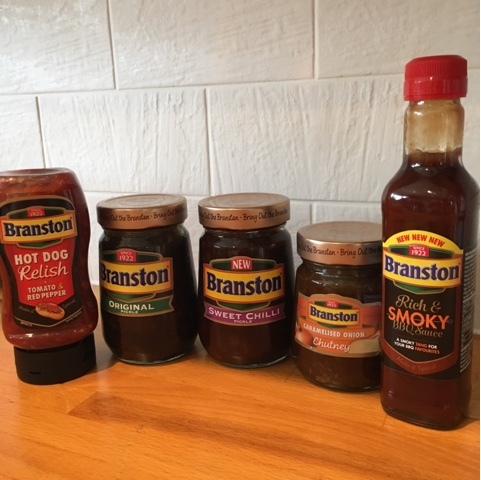 We were recently sent a box of goodies from Branston to try, having 3 boys who love Branston pickle I knew I'd have some keen testers! I thought I'd use some of the Original pickle to spice up one of the boys favourite meals, burgers and I used some of the rich & smokey BBQ sauce on top! 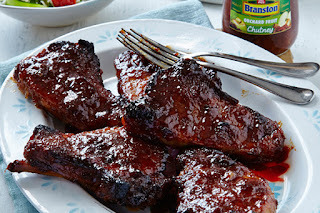 These went down really well, they all liked the addition of the pickle and some vintage cheddar and little gem lettuce finished them off a treat. 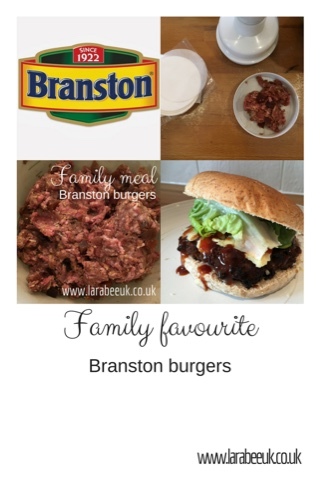 Rather than pepping up a family favourite, why don't you take a look at the Branston recipes on their website, there are some great ideas to try, we'll be giving the Sticky pork chops a go soon! 1. Mix all ingredients together, with your hands. 2. 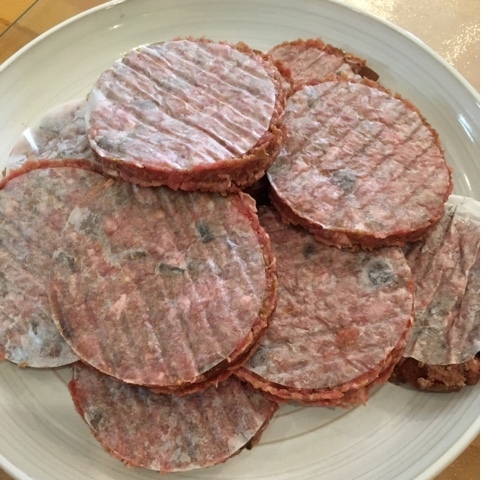 Make into patty's or burgers, we've got a burger press which is a godsend and makes them really easily but you can also do this by hand. 4. We served with some lovely vintage cheddar, little gem lettuce and Branston rich & smokey BBQ sauce. 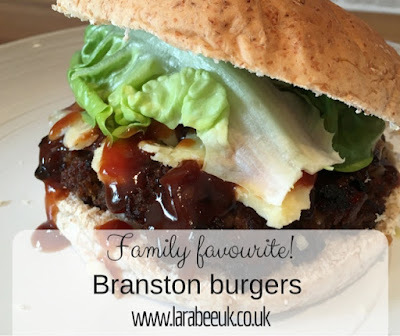 I'd love to hear from you if you try this recipe ;) how do you like to eat your Branston?